By Dr. Raymond A. Keller, a.k.a. the “Cosmic Ray,” author of the international awards-winning Venus Rising trilogy (Terra Alta, West Virginia: Headline Books, 2015-2017). If you would like to meet the doctor in person, he will be appearing at the Wednesday, 9 May 2018, 6:30 p.m. meeting of the Science Evaluating Anomalies Research Center of Harrisburg, Pennsylvania (SEARCH), held in the Lower Paxton Township Municipal Bldg. at 425 Prince Street, Harrisburg. For additional information, please contact the director, Ross Wiedler, at (717) 657-8023. Todd Matthews, a spokesperson for the National Missing and Unidentified Persons System, has stated that at any given time in the United States, there are, on average, about 90,000 people reported as missing. The National Missing and Unidentified Persons System serves as a database for missing people. The organization is a component of the United States Department of Justice and works in conjunction with the Federal Bureau of Investigations’ National Crime Information Center. According to Matthews, as of 1 September 2014, the National Missing and Unidentified Persons System had cataloged 83,957 cases of persons missing in the United States from just 1 January 2014. Of course, these were only the reported incidents. Of this number, 60% were adults, people over 18 years of age. That comes to 50,569 missing individuals. The other 40% were juveniles, persons under 18 years of age. This number amounted to 33,388 individuals. Of the total 83,957 cases on record at the organization, 52% were males. This cohort was constituted of 43,415 individuals, with the remaining 40,530 as female. Females, therefore, constituted 48% of all the missing persons. Ethnically, 56% were white. These constituted 47,254 individuals, and formed the largest cohort. 33% of the missing persons were black. This was surprising, however, insofar as blacks represent only 13% of the total United States population, according to the 2010 National Census. In actual numbers, 27,676 missing individuals were black. 5,503 cases involved individuals not specified as to ethnicity. This constituted 7% of all missing persons. Missing persons are a universal phenomenon. Cases are reported in the thousands from nearly every country. There are many and varied reasons why individuals go missing. These may include escaping domestic violence, mental illness, misadventure, miscommunication, or even being the victim of a crime. Other cases may involve individuals living with an intellectual or physical disability, but finding themselves without lifesaving medication. Many persons expressing suicidal thoughts often follow through with their voiced intentions; but their corpses are never discovered. No doubt, there are some who are just tired of their life and want to start anew somewhere else. These are the ones who just walk away from everyone and everything in their lives, going “walkabout,” as they say in Australia. But how do we account for the emergence of flying saucers and the purported disappearance of contactees and other UFO experiencers, both known and silent? In my book, Venus Rising: A Concise History of the Second Planet (Terra Alta, West Virginia: Headline Books, 2015), the histories and subsequent “translations” of both the Idaho mystic Annalee Skarin and the California fashion designer and friend of the renowned contactee George Adamski, none other than the beautiful and enigmatic Dolores Barrios, are explored in great detail. In the Bible and other inspired works considered as scripture by various world religions, there are references to a unique class of beings, individuals whom the Lord or some other divine entity has “translated,” or changed from a mortal state to one wherein they are temporarily exempt from death; and neither can they experience pain nor sorrow, except for the folly and sins of the material world. Enoch and John the Beloved are good examples of translated beings from the pages of the Bible. Apart from the Judeo-Christian references, however, it should be noted that many allusions are made to the ascension of human beings to the status of demi-gods in the history and traditions of the Roman Empire. Throughout the empire, the gods were plentiful and their assumed forms many. The citizens and subjects of the empire were well aware that gods came in many forms, but assumed a human appearance for our benefit. Roman historian Harold Mattingly noted that, “When fully realized, the gods came to us as persons, and, as the only real persons in our experience are human, they were therefore represented in human form. They had their own houses, their temples and images (idols) that attested to their presence there.” That these demi-gods once trod the Earth as real men and women is attested to in the writings of Virgil and other Roman historians and poets. Their heroic deeds and acts of valor won them a place among the gods via ascension into the celestial realms. On many occasions, they would return to the planet to assist us in our righteous endeavors. 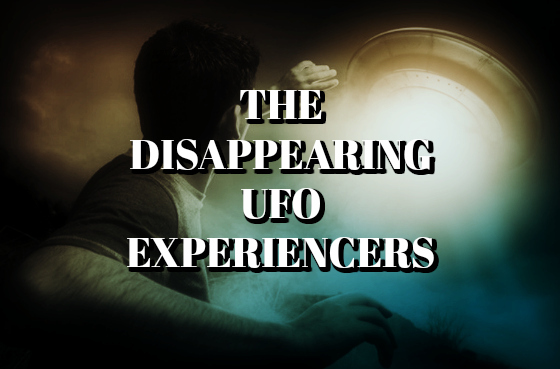 Let us examine a few cases of contemporary disappearances associated with UFO events. Granger Taylor with UFO he built in parents’ backyard. See https://www.express.co.uk/news/weird/803839/Granger-Taylor-missing-UFO-alien-abduction-unsolved-Vancouver-Island-Canada. Always fascinated by UFO reports and wondering how these mysterious craft were powered, Granger Taylor was a skilled mechanic who built a replica of an extraterrestrial spaceship in the backyard of his parents’ home in Duncan, British Columbia, Canada, out on Vancouver Island. After public claims that he was in constant and mentally telepathic communications with space aliens, Taylor was never seen nor heard from again. At the time of his disappearance in 1980, Taylor was 32 years old. The case of Granger Taylor remains one of the most bizarre and unsolved missing persons accounts to date. Taylor, somewhat of a recluse and a bit anti-social, dropped out of high school when he was but 14 years old. However, when truant officers came out to his home to discover what might be the problem with young Granger, they found him putting the final touches on a revolutionary one cylinder car that he had constructed in his parents’ garage. Nevertheless, his most famous invention was the UFO-like shelter that he assembled from two satellite dishes that he managed to fit with furniture, a television set and a cooking stove. Taylor was always thinking about extraterrestrials and constantly pondered the possibility of alien visitations and the most likely date of their arrival here on Earth. The more that Taylor focused on the extraterrestrial hypothesis, the more he began to experience psychically enhanced contacts with alien beings, all promising him a one-way trip to their home world. From time-to-time, various cosmic conspiracy websites and UFO blogs run stories about the mysterious Granger Taylor. All reports, however, and regardless of their source, are all in agreement on just one thing: “…..that no trace of him was ever found.” But this isn’t to say that these bloggers have not tried to debunk Taylor’s story, even though they have no clue on where to find his body. It was five-and-a-half years after his disappearance that the 31 March 1986 edition of the Montreal Gazette ran an article on the Granger Taylor case. In this article, it was reported that two pieces of bone had been found in the area where Granger disappeared. In addition, parts of what was believed to have once been parts of his truck had been found up in a dynamite blast site on Mount Prevost, not far from his home, about a distance of four miles to the northwest on a somewhat round-about path. The Montreal newspaper reported that Granger had removed some dynamite from his parents’ tool shed the night before he disappeared. Also, readers were informed that, “Two pieces of bone were found at the blast site and that a pathologist had confirmed that these fragments were of definite human ancestry.” The medical specialist was unable to determine if the bone fragments belonged to Granger Taylor, however, so the case of his disappearance still remains unsolved in the files of the Canadian Royal Mounted Police. Photo depicts a Boeing B-47 Stratojet being refueled by a Boeing KC-97 tanker. See http://www.theoccultmuseum.com/7-mysterious-disappearances-time/. Ufologist Hastings, the organizer of the conference, emphatically declared, “I believe — these gentlemen believe — that this planet is being visited by beings from another world, who for whatever reason have taken an interest in the nuclear arms race.” The UFO expert insists that a global conspiracy exists in which all major governments have been covering up evidence of UFOs for decades. American contactees such as George Adamski, Truman Bethurum and Howard Menger have been telling us the same thing since the 1950s. The extraterrestrials from Venus are the most concerned with our nuclear weapons development and deployment precisely because they hail from the closest planet to the Earth, only 26 million miles distant at its nearest approach. The “Cosmic Ray” (center), noted authority on the mysteries of the planet Venus, autographed his books at the recent Fairmont, West Virginia, Literacy Fair, held Saturday, 21 April 2018. One of Dr. Keller’s fondest wishes is to redeem the ticket given him by Commander Aura Rhanes for a one-way trip to the Venusian space base Clarion on the far side of the Moon. “I might take her up on that mighty fine offer following my presentation at the Mt. Shasta ‘From Venus with Love’ world conference, 27-29 July of this year,” said Keller.